If you’re a fan of small audio gadgetry that provides high quality output in an ultra-portable package, Divoom Voombox Travel will definitely be right up in your lane. 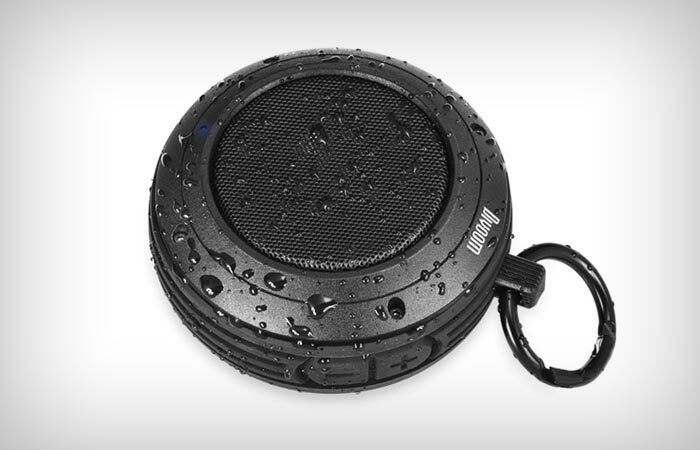 The rugged mini wireless speaker is built for outdoor use and it combines all the neat features you might need on the go. Manufactured by Divoom, the renowned producer of innovative audio equipment with superb aesthetic design and outstanding audio performance, the Voombox Travel is a sturdily built pocket-size 3-inch speaker that offers you portable sound in a ruggedized package. At first sight, it weighs quite a bit (9.6 ounces) for a gadget of its size but the weight is due to its superior production materials. The speaker features a 2-inch driver and a 2-inch passive radiator to provide excellent-sounding bass and outstanding sound response for a device of its miniature size. The Voombox Travel has a rubberized bottom to prevent accidental tip-over, and it is said to be shock-resistant and splash-proof. 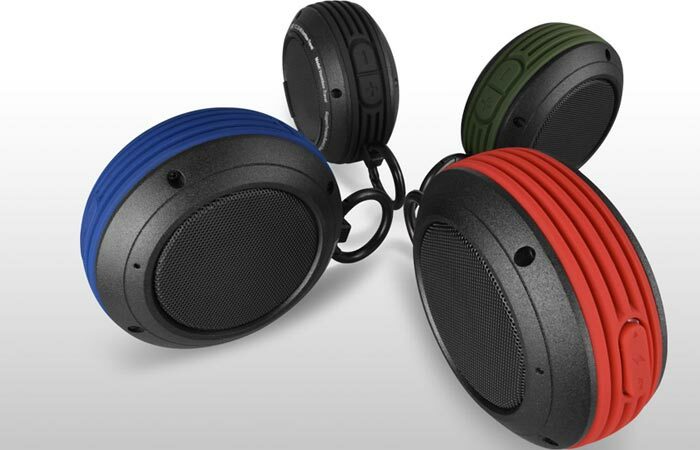 The speaker is fitted with a metal carabiner attached to a pin at the top so it slightly resembles a grenade and can be clipped onto a backpack, jeans or belt. Built essentially for travel, the Voombox is ideal for camping, fishing and backpacking trips and any other outdoor activity you venture on. In terms of performance, the Voombox offers good sound response and impressive bass quality for a portable speaker, but it really shines in the mid-range, with vocals and acoustical material being its forte. The speaker features Bluetooth 4.0 connectivity within 10 meters of range so you can stream your music wirelessly from your smartphone, tablet or laptop, and the included Micro-USB charging wire also doubles as an input cable for non-Bluetooth enabled devices.